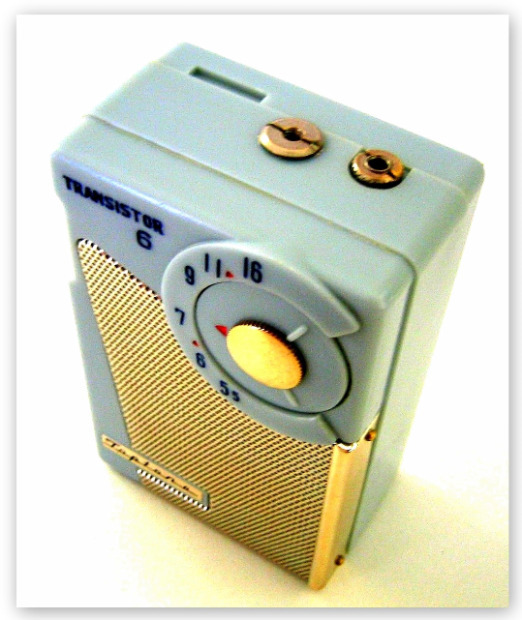 This cute and chunky baby blue colored Toptone AR-65 was manufactured by Tokyo Optical & Radio MFG Co Ltd circa 1959. 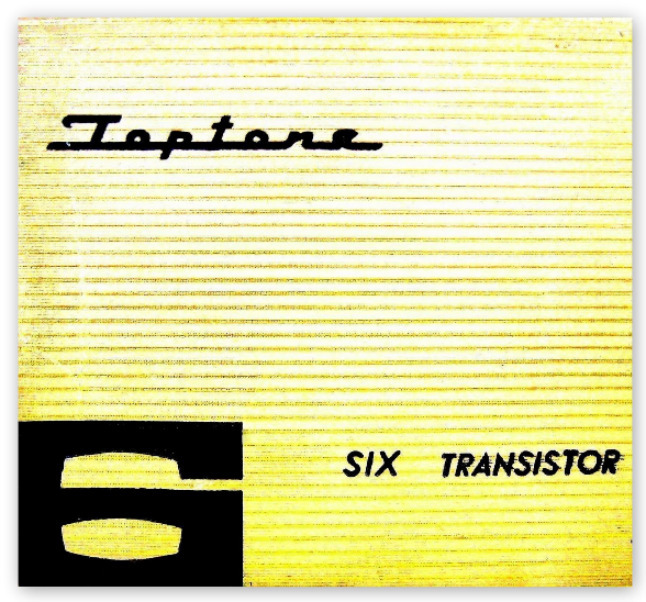 Collector Alan Kastner speculates that Tokyo Optical & Radio MFG Co Ltd is the company currently known as TOPCON (トプコン). 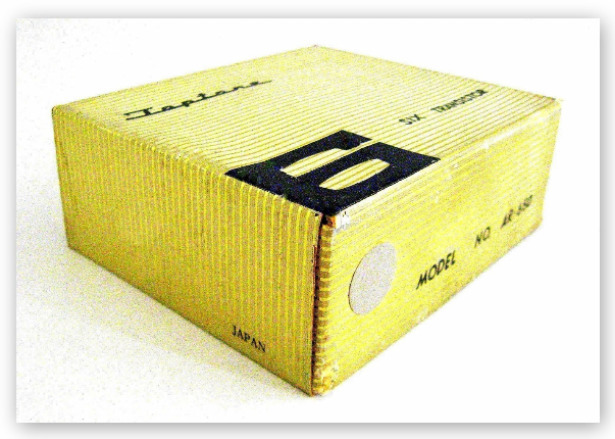 TOPCON was established in 1932 and was originally known as Tokyo Optical Co. Ltd. 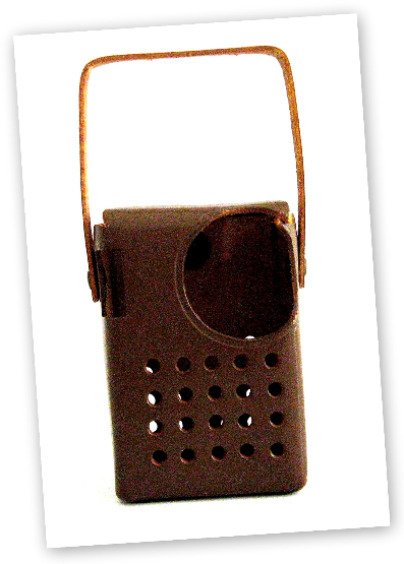 Initially they began manufacturing optical instruments for the Japanese army. 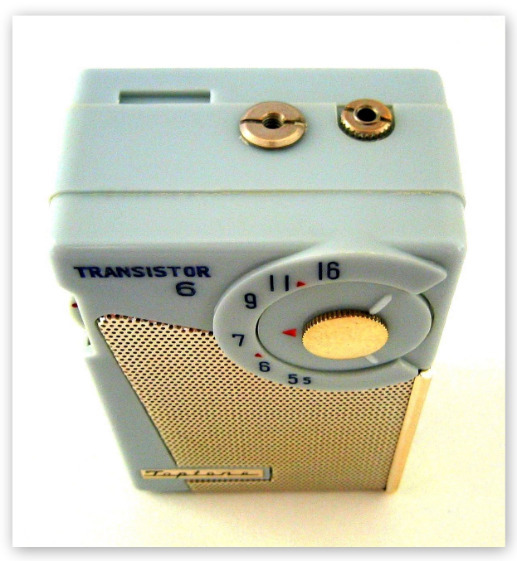 In 1960 they became an affiliate of Tokyo Shibaura Electric Co Ltd (Toshiba). 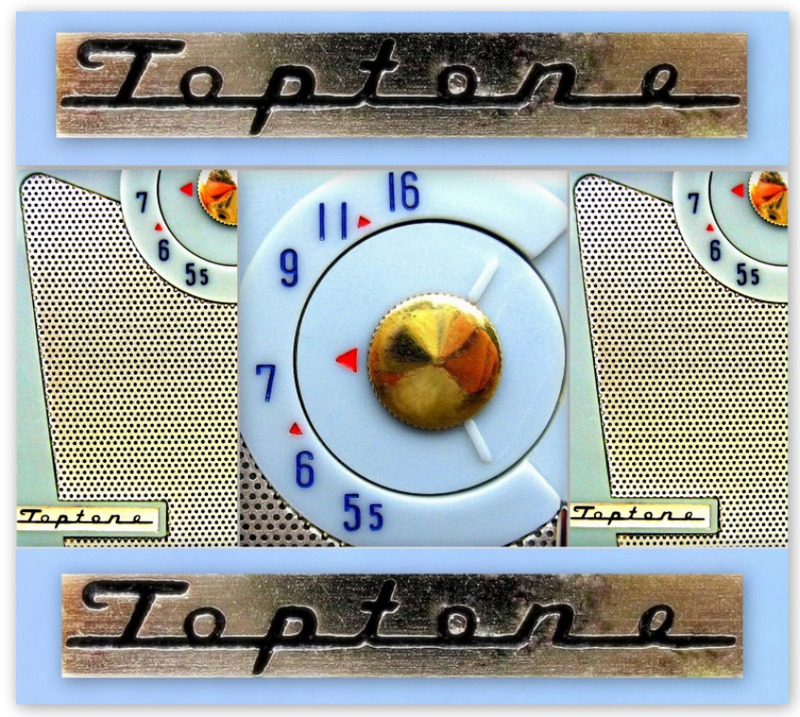 Today Toshiba owns 40% of TOPCON'S stock. 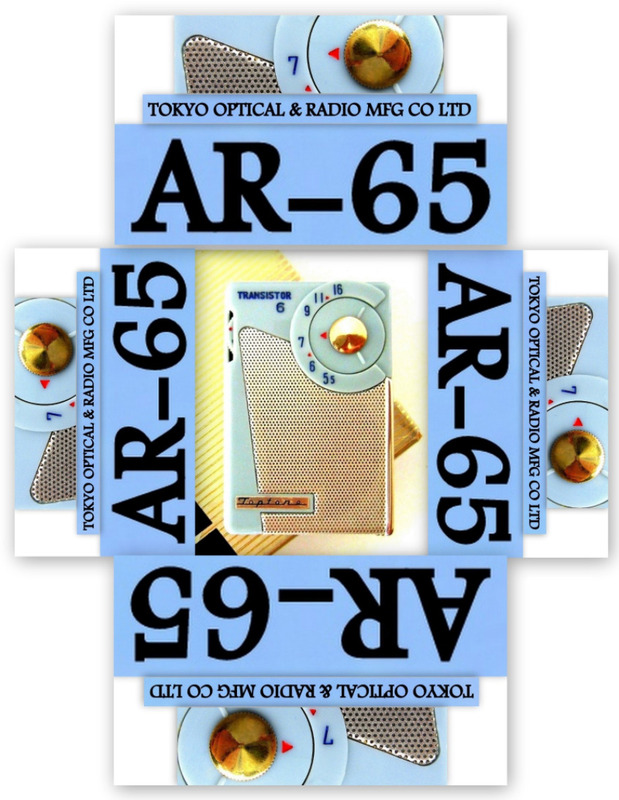 If you have a copy of Roger Handy's book 'Made In Japan' you can view a vintage ad for this radio on page 78. 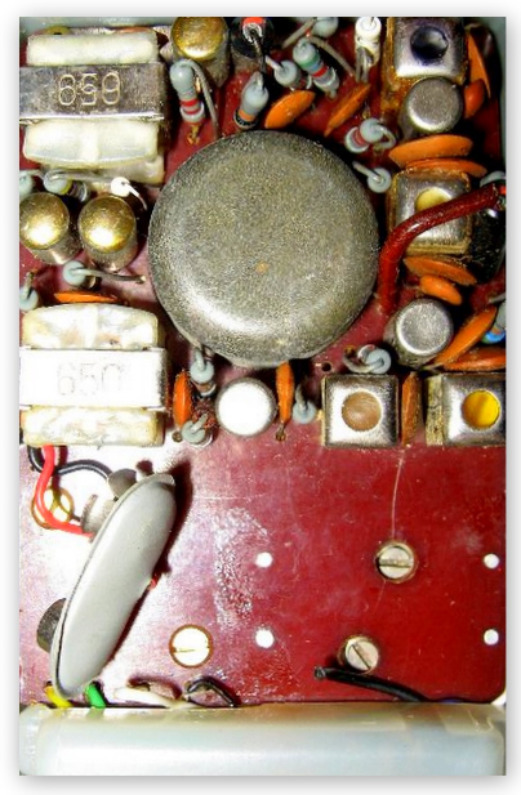 This little Toptone AR-65 features an oddly shaped speaker grill and a tuning dial that reminds me of a pop art rocket blasting through an asteroid belt (look closely!). 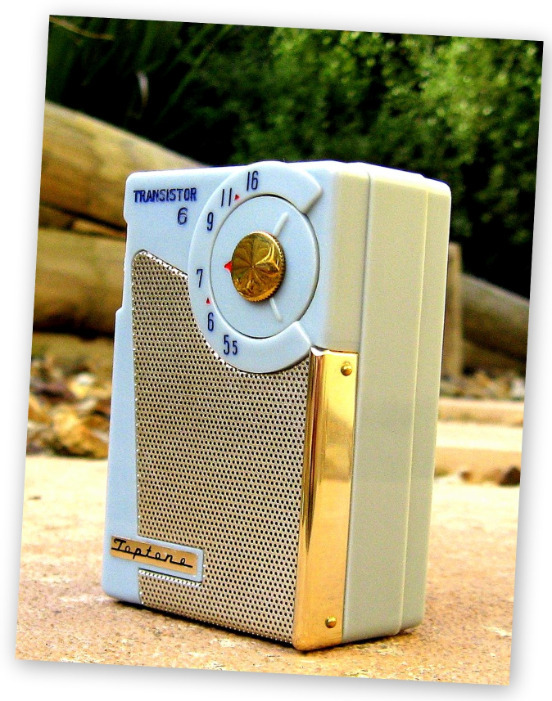 Its proportions and symmetry are outstanding and check out its tiny dimensions; 3.1/4 x 2.1/8 x 1.3/8 inches. 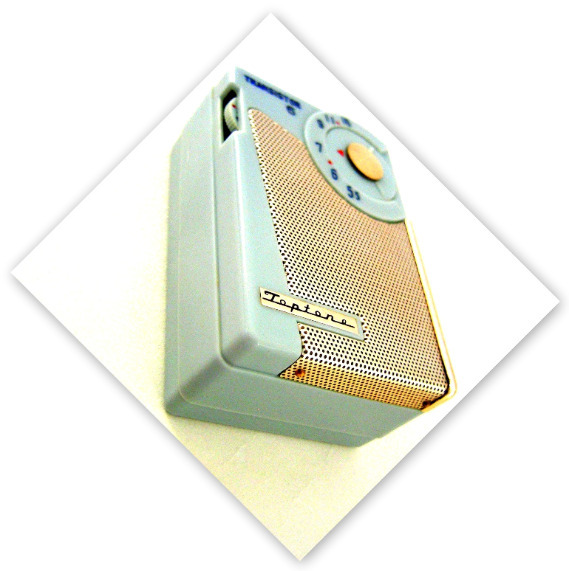 Interestingly the coin slot on these radios is on top instead of on the bottom. Luckily the coin slot on mine has had virtually no use. 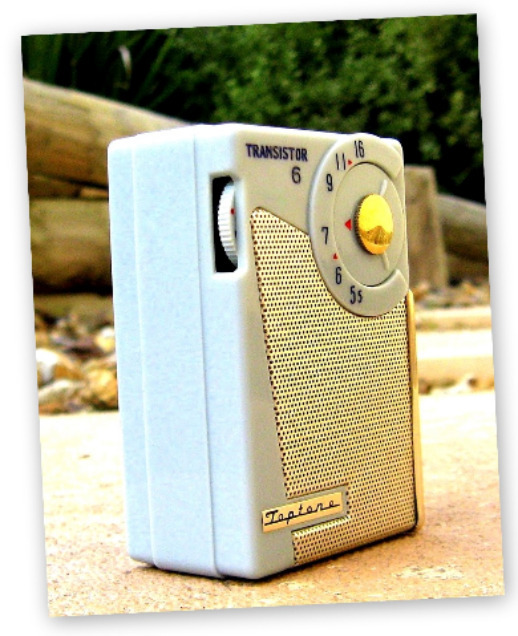 These radios can also be found branded as Mascot, Profile or Remington. If you are after one then good luck in your quest, they are somewhat hard to come by. 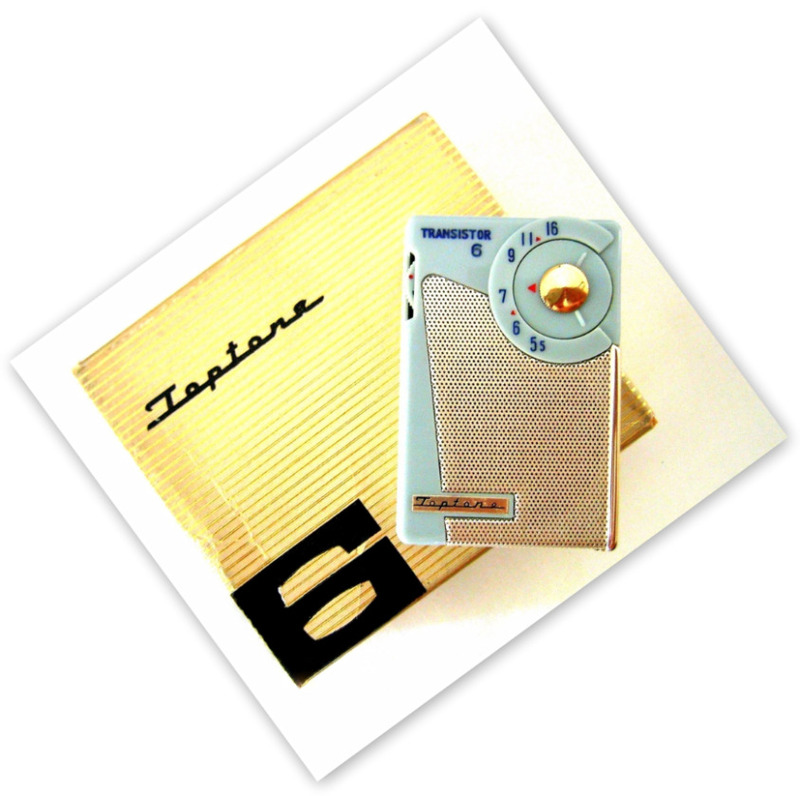 This beautiful little Toptone comes complete with its original gift box, leather case, and antenna wire. 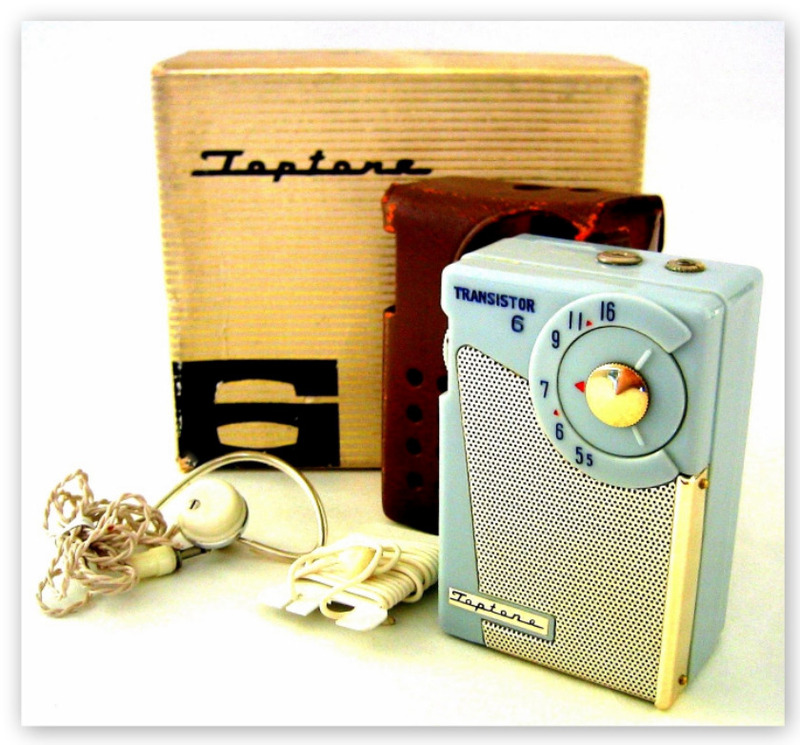 It also comes with a vintage earphone (free of vintage earwax too I might add!). I love boxes and accessories and stuff! 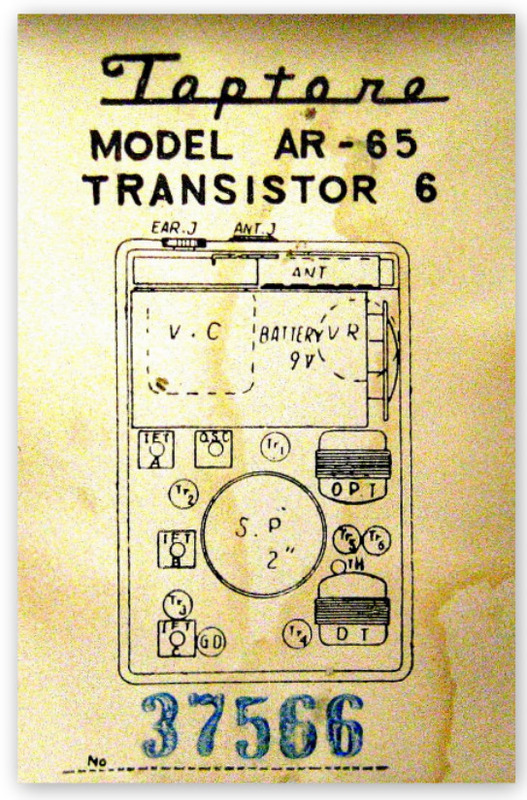 Inside you will find 6 Hitachi transistors.